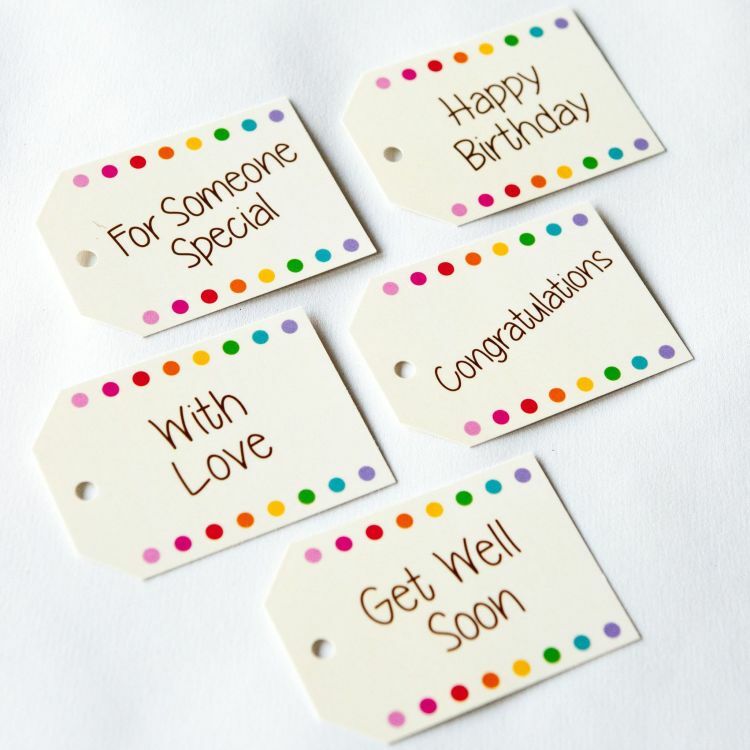 A special selection especially to show someone you love them. 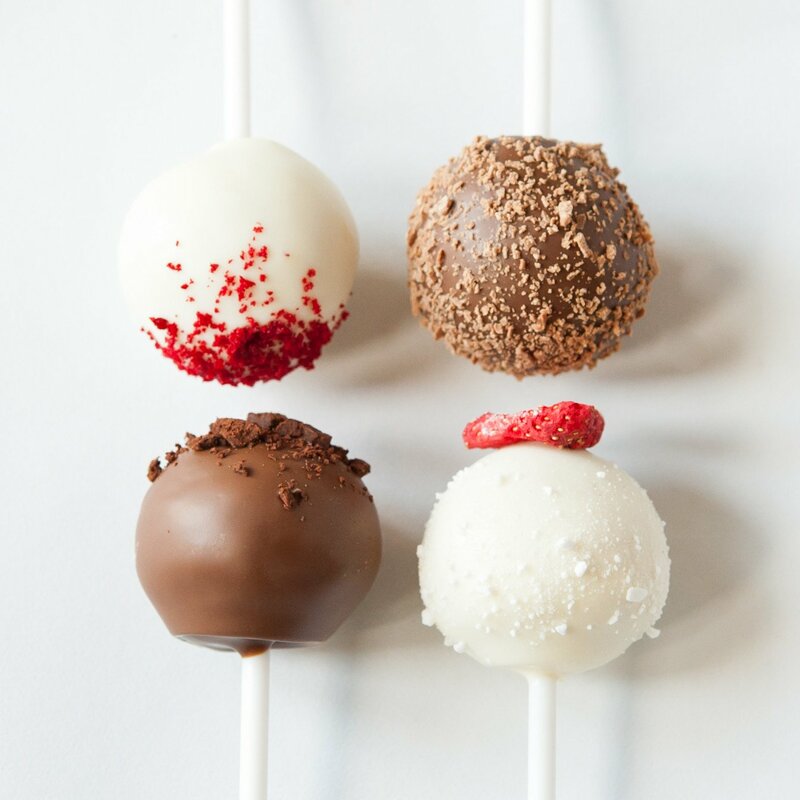 Strawberry Pavlova, Red Velvet, Chocolate Fudge and Chocolate Brownie Cake Pops baked to order and delivered straight to your loved one. 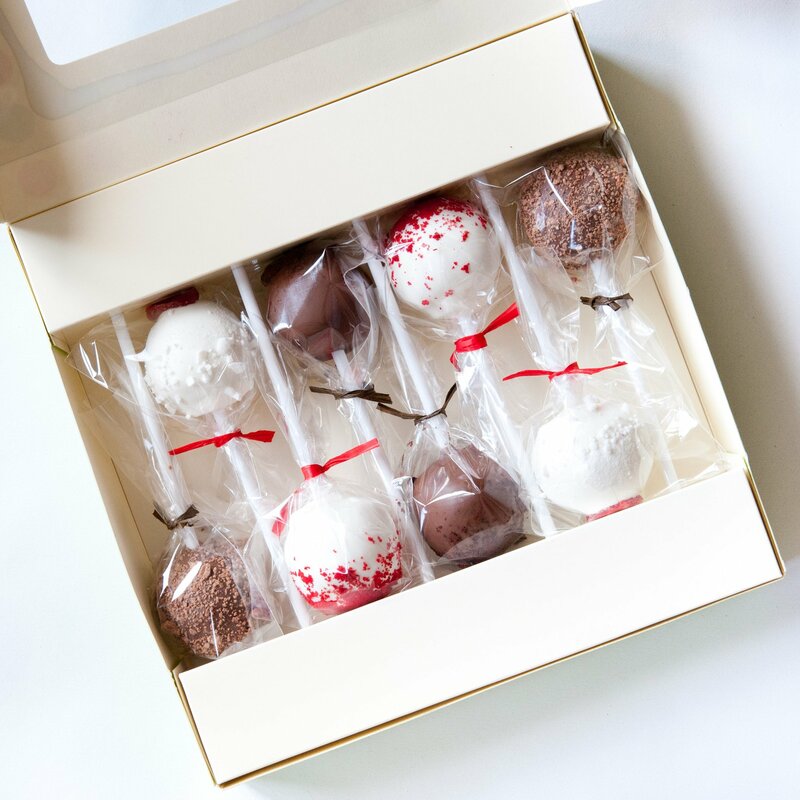 Each cake pop is individually wrapped in a food-safe clear cellophane bag and hand-tied with raffia. Luxury Gift Box: Cake Pops come in a gift box and are packed with a Gift Receipt print out. Your Gift Receipt will not include any prices but will a gift message if you choose to write one. Luxury Gift Box with Ribbon and Personalised Gift Tag: Cake Pops come in a gift box which is tied with luxury ribbon, and has a gift tag attached with your personalised printed message on the back. Allergens shown in bold. All contain milk and wheat. May contain traces of nuts. These are, without question, the tastiest little cakes I’ve ever eaten in my life! This was my 3rd order. I adore them! Loved them! These were posted to me within a tight timeframe and arrived exactly as they looked on the website! They looked beautiful and were delicious! 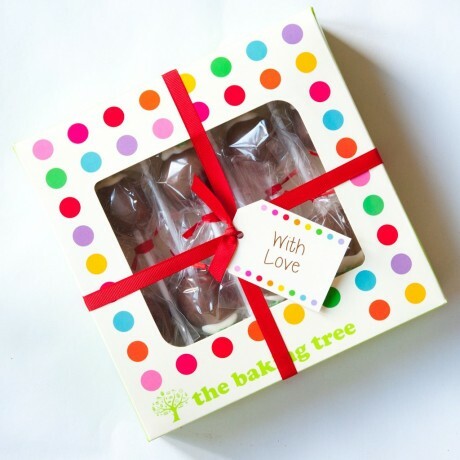 This product is dispatched by The Baking Tree. This item has a shipping weight of between 490g and 490g depending on the options selected. Delicious Cake Pops & Baking Kits handcrafted with flair and created with passion.